After years of advocating on Capitol Hill, the Childhood Cancer STAR Act passed and was signed into law! See how the STAR Act will help kids with cancer and childhood cancer survivors live long, healthy lives. What is the childhood cancer STAR Act? The STAR Act stands for the Survivorship, Treatment, Access and Research (STAR) Act. It is the most comprehensive childhood cancer legislation ever taken up by Congress. What will the STAR Act do? Expand Opportunities for Childhood Cancer Research: The STAR Act would authorize the National Cancer Institute (NCI) to increase existing efforts to collect crucial samples from childhood cancer patients enrolled in NCI sponsored clinical trials in an effort to maintain relevant clinical, biological, and demographic information on all children, adolescents, and young adults with cancer. Now is the time to take childhood back from cancer. Fund lifesaving childhood cancer research today. Improve Childhood Cancer Surveillance: This bill would allow grants to be given to state cancer registries across the U.S. to identify and track incidences of cancer in children, adolescents and young adults. This funding would be used to identify and train those individuals who report childhood cancer cases, secure infrastructure to handle this information and support the collection of cases into a national childhood cancer registry. Improve Quality of Life for Childhood Cancer Survivors: This legislation would enhance research on the late effects of childhood cancers, improve collaboration among providers so that doctors are better able to care for this population as they age and research innovative models of care for childhood cancer survivors. Ensure Pediatric Expertise at the National Institutes of Health (NIH): The Childhood Cancer STAR Act would require the inclusion of at least one pediatric oncologist on the National Cancer Advisory Board and would improve childhood health reporting requirements to include pediatric cancer. 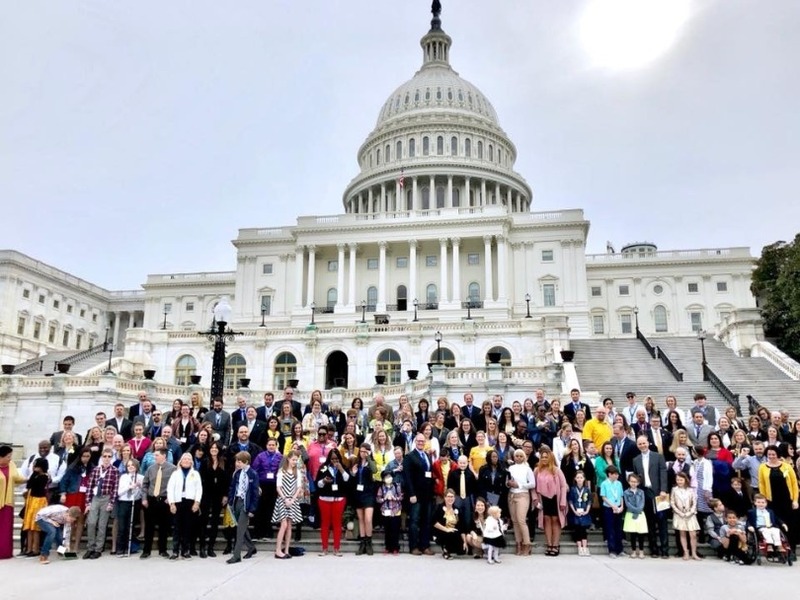 Advocates for childhood cancer research gather on Capitol Hill for Childhood Cancer Action Days in 2018. Why does the passing of the STAR Act mean so much? 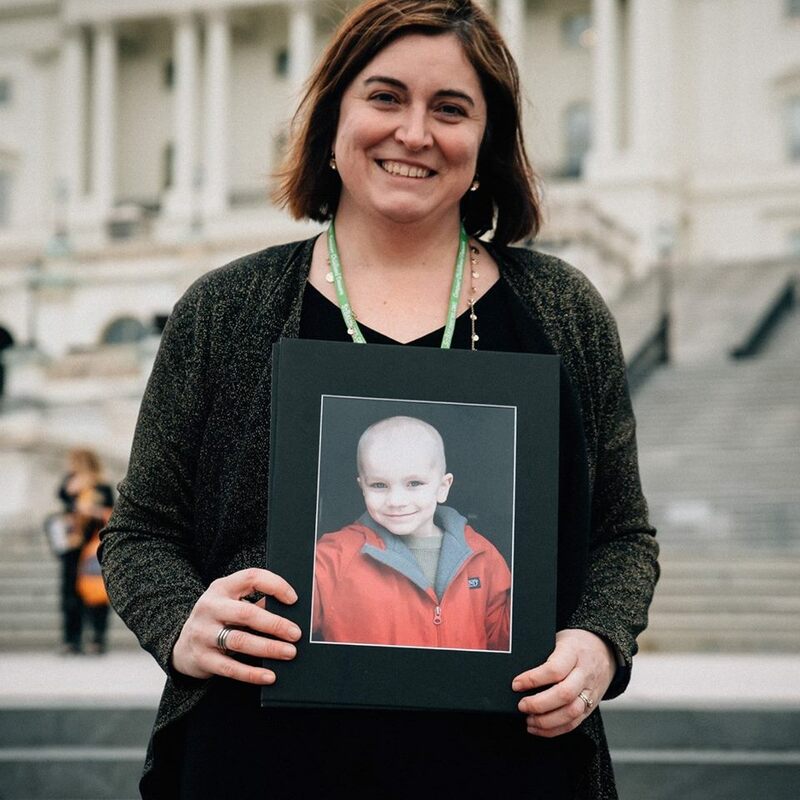 Deeply involved from the very beginning, St. Baldrick’s Sr. Director of Government Relations and Advocacy and Co-Chair of the Alliance for Childhood Cancer, Danielle Leach, shares how the STAR Act moved from being a dream years ago to finally becoming a reality — and why it’s so important. In this day and age, we need a little good news. News of people working together. News of people of different political parties, of economics, of experiences finding a common cause and making things happen. I could not be prouder of the childhood cancer community and its supporters at this moment. The passage of the Childhood Cancer STAR Act in both the House and the Senate is the culmination of years of hard work by St. Baldrick’s and so many childhood cancer organizations and individuals. We are almost to the first finish line of the STAR Act — the most comprehensive childhood cancer bill ever taken up by Congress — being signed into law. You made this happen. Your calls, your emails, your visits to the Hill, your social media posts all made a difference. From the first policy roundtable, when the community got together to talk about how we move childhood cancer research forward and create better lives for kids that survive, to the last Hill day in April, your voices mattered. Our Hill champions, Representative Michael McCaul, Representative Jackie Speier, Senator Jack Reed, Senator Shelly Moore Capito, Senator Chris Van Hollen, Senator Johnny Isakson, Representative GK Butterfield, Representative Mike Kelly, and their staff — they listened and they worked hard right alongside us to get this to the first finish line. Standing on Capitol Hill, Danielle holds a photograph of her son Mason, who died from pediatric brain cancer at just 5 years old. The STAR Act for me, of course, is personal. This goes beyond my everyday job at St. Baldrick’s. My sister is a long-term childhood cancer survivor. My son Mason died at age 5 from brain cancer. I have seen the miracle of research and science for my sister and I have seen where the research was not there yet to save my son. What are next steps for the Childhood Cancer STAR Act? Now the hard work begins to get this legislation funded every year for the next 5 years. We will need you every step of the way to make sure the Childhood Cancer STAR Act is fully funded. Share your stories and take action again, and again and again. Every step we take together as a community of advocates to change the reality of childhood cancer is a victory. But this is a marathon, not a sprint. Thank your member of Congress today for passing the STAR Act. Build a relationship with that office, let them know your story, how much this means to you that STAR Act passed and invite them to your next event. Respond to the calls to action and encourage your friends to join St. Baldrick’s advocacy network – Speak Up. Together we will make a difference for kids with cancer. Join the St. Baldrick’s Advocacy Network and together we can take childhood back from cancer.